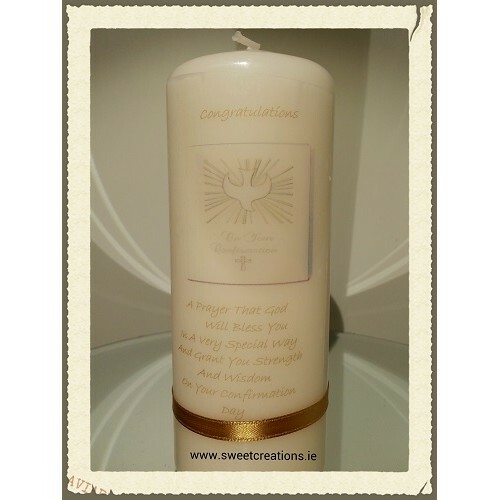 A hand finished candle for communions. The candle measures 5" tall by 1.5" wide, and features cross and dove detail, a verse and ribbon. They can be personalised on request, with the candidates name and the date. Please allow ample time when ordering, to allow for personalisation. These are handmade so take time to create and post. A beautiful keepsake of a very special day.